Hello everybody. 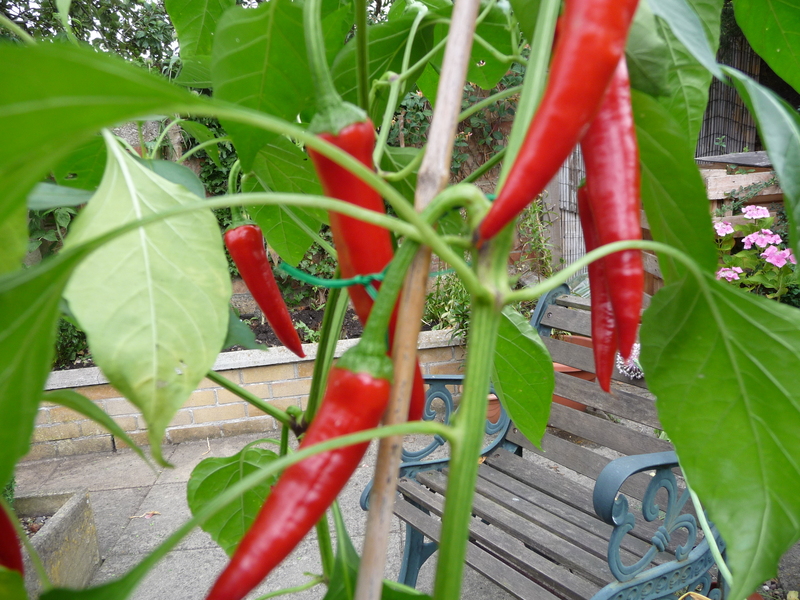 I hope that your chillies are growing well. I thought that it was about time that I let you all know how mine are coming along. 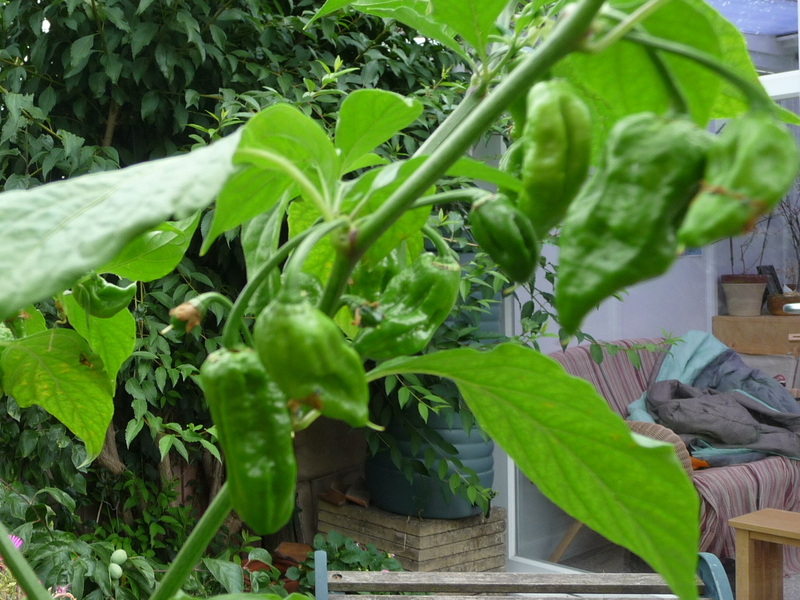 These are coming along nicely; I just hope that we have a long enough summer for them to ripen. There are so many flowers too. I’ve been eating these little beauties for a few weeks now. Not as fruity as they look but nicely hot. Lots of these. Fleshy and mild; been eating these for weeks too. Lots of these too. They look fantastic but so far have been dissapointing with tough skins and little heat. Hundreds of these on only 3 plants. They are starting to ripen but remain untested this year. The fruit from which the seeds were taken was fierce though. 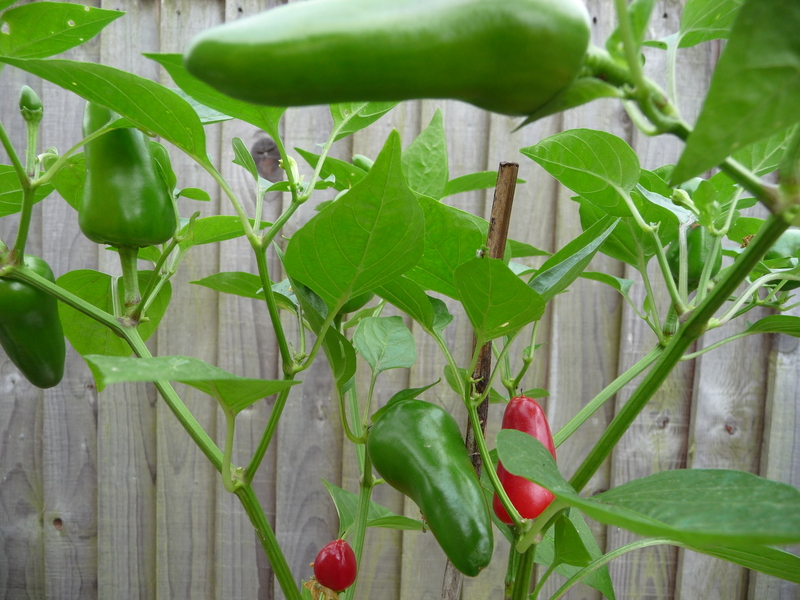 I have Habanero (the Pot Noodle Chiilies) and Scotch Bonnets too. 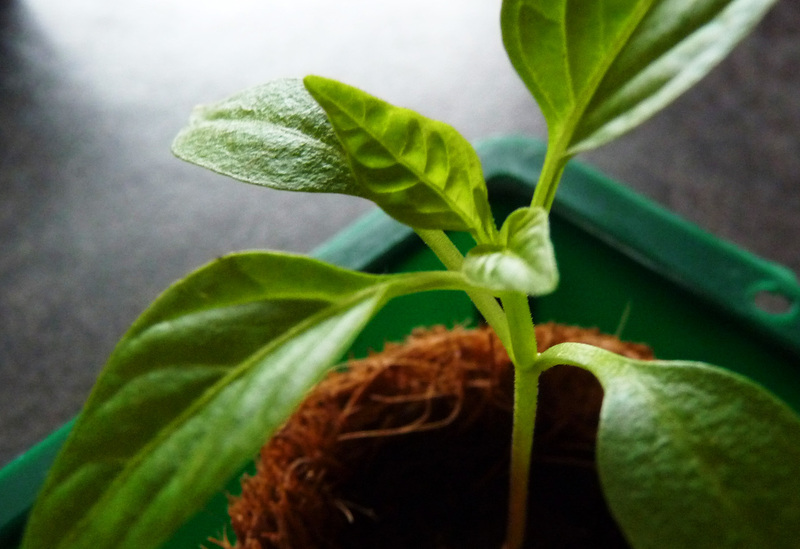 Next year I’m growing more Scotch Bonnets; grown from a seed taken from a shop-bought pepper it is such a prolific fruiter, although none have ripened yet. Also, I harvested my first mature Hot Lemon and guess what? Yes, it is indeed very lemony and very hot too! 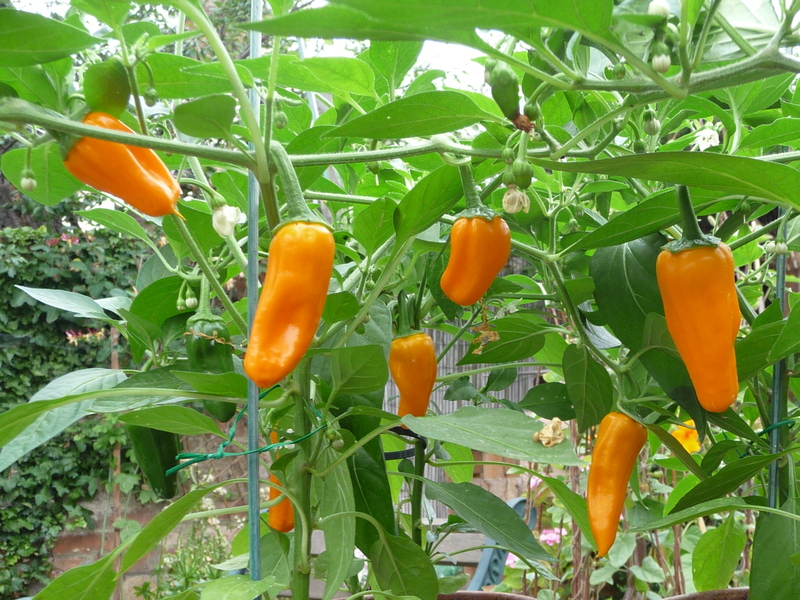 These plants are amazing, about five feet tall and heavy with peppers. Top Tip. To properly taste a pepper leave it in your mouth until most of the capsaicin has burnt off ; when your eyes stop watering or when your other half stops looking at you and wondering if you’re having a stroke. 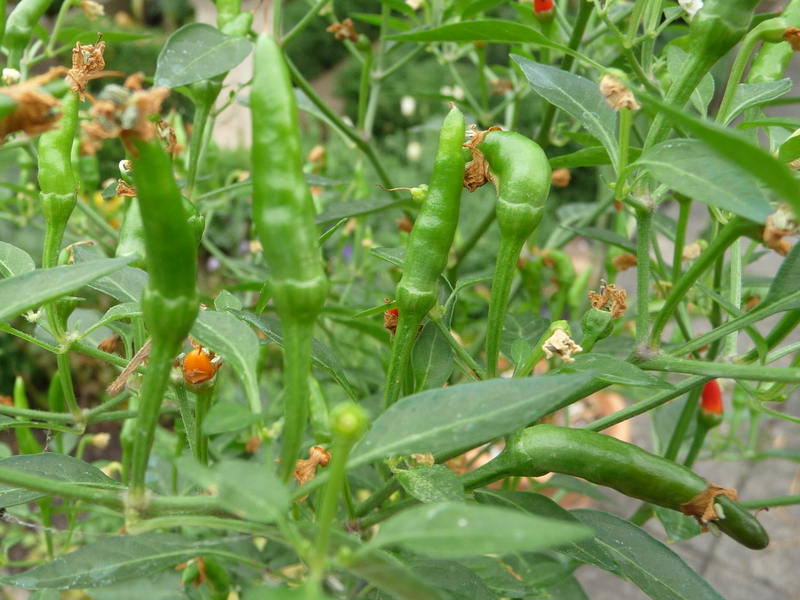 At this point munch away; you’ll be suprised at just how flavoursome even the hottest chillies can be.